The objective was to form interdisciplinary teams to create applications that can provide solutions to future mobility problems. The competition was planned participation in three possible categories: Social Mobility: waking up the Machines (use of information and technologies for the design of more sustainable mobility), AI for Mobility and Driving Experience (use of artificial intelligence for give solution to the improvement of mobility) and Visualizing Mobility (study mobility patterns in cities, creating and improving derived services). 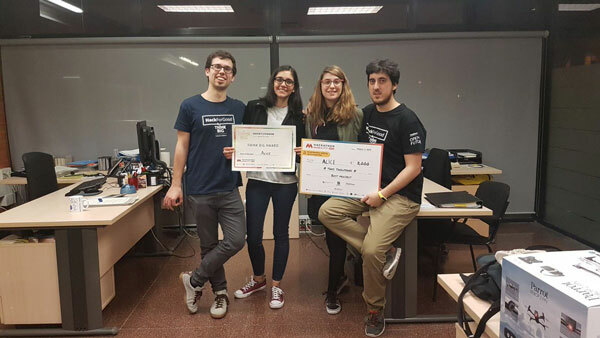 The Alice team, formed by Ester Lorente, Sandra Martín, Juan Salmerón and Marc Vila, has won the 1st prize of the Social Mobility challenge: waking up of machines from the Hack for Good (chair Telfònica) with the Bvisible project. The Alice team made prototypes in the form of a cane so that older people and people with visual disabilities could be better informed about them. In an easy way they could know where the nearest bus / metro stop was, and if they were already at the stop they would know how long it would take to get the bus / metro they had selected by voice control. A vibration system was also incorporated into the staff to know when they were approaching a dangerous area such as a bicycle lane. A part of the cane incorporated an LED so that when it was in motion it would light up and thus be seen, especially in situations with low luminosity. The prototype was made with a 3D printing. For data management databases were created with GraphQL, and read directly on the Android device using Sparsity technology. The support application was made on Android. The staff was given "intelligence" with Arduino, with a bluetooth module, shock sensors, LEDs and a screen. 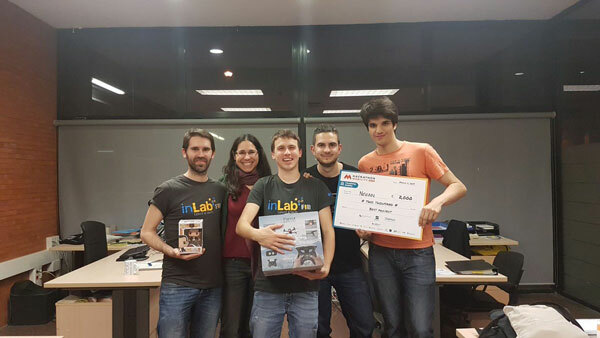 The Negan team, formed by José Francisco Crespo, Josep de Cid, Montse Jandula, Sergi Paredes and Juan José Vázquez, won the Smart Rider project with the 1st Visualizing Mobility award from Metropolis LAB Barcelona and the World Sensing Award. SmartRider, the App that they developed offered information about the state of the Bicing system in real time, acoustically notifying the user about changes, improvements or alerts in their initial route. For example: a person is on his way to his destination, the system detects and notifies that the area he is approaching has been previously bicycle accidents. The Negan team used the information from the World Sensing parking sensors to make a prediction of the occupancy of these, in addition to the historical occupancy of the Bicing, models were generated to predict the availability of Bicing stations in Barcelona. With the combination of the two predictions, a Bicing station was offered as a proposal for the Bicing route. Both teams also have won the Sparsity prize. 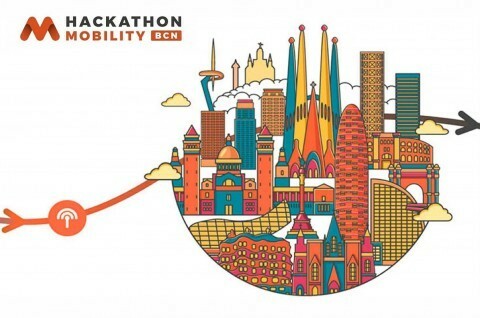 More information: Hackathon Mobility BCN 2018.